Click image for a high-resolution version. Ithaca, NY—It isn’t always enough just to watch birds—bird watchers are always asking questions about them too. WHY is that cardinal attacking my car? WHY don’t birds fall off branches as they sleep? WHY is bird poop white? Each year, thousands of bird watchers call and write to experts at the Cornell Lab of Ornithology. 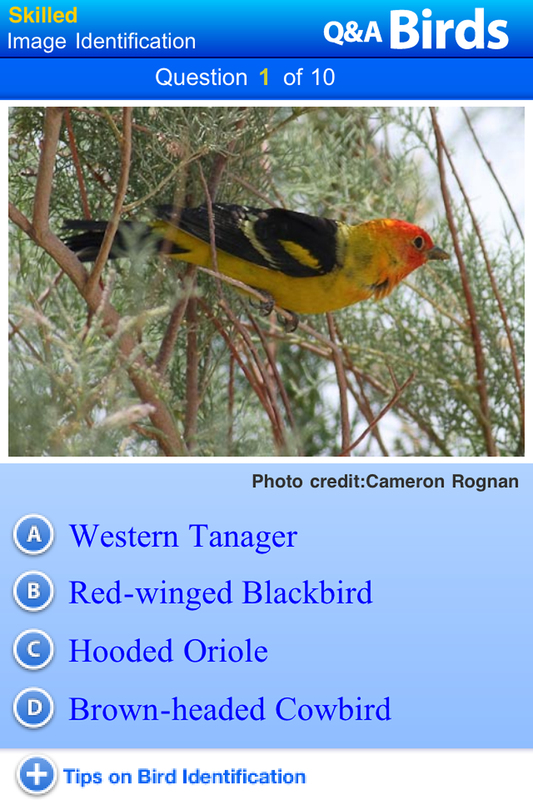 More than 100 answers to common and occasionally off-the-wall questions are packed into the new Cornell Lab Bird Q&A app from Tipitap and available from iTunes for $2.99. The Bird Q&A app is a fun way to learn more about why birds do what they do. Although it is not a field guide, it includes hundreds of beautiful bird photos accompanied by sounds from the Cornell Lab’s Macaulay Library archive—the largest collection of bird sounds in the world. Questions and answers can be explored in categories such as “Fact or Fiction,” “Nests & Eggs,” “Bird Songs,” and “Feathers & Flight.” Example: Did you know that feathers are composed of a substance found in no other animal tissue except alligator claws? After absorbing some of this bird lore, users can test themselves with built-in quizzes in “novice,” “skilled,” and “hotshot” categories. They can choose quizzes on bird facts, identifying bird species, or recognizing birds by their songs and calls. It’s never been easier to learn about a subject that is so fascinating. 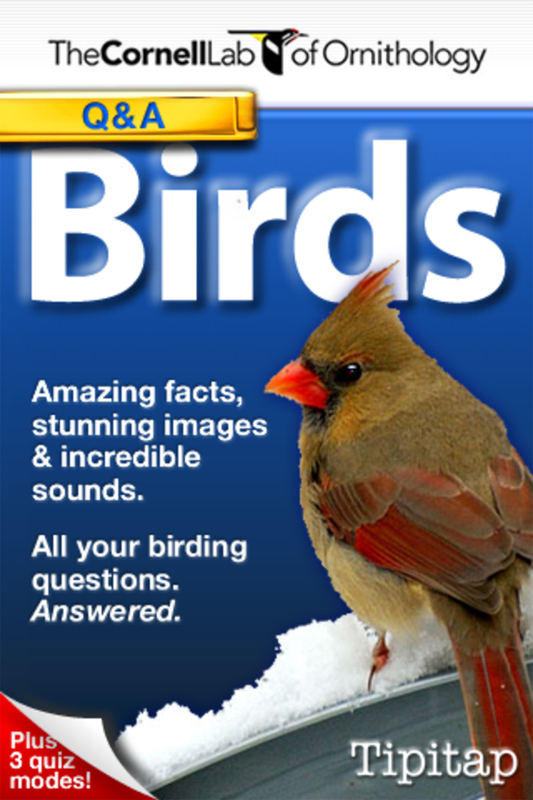 The informative, occasionally quirky content is written by bird expert and author Laura Erickson, and is a perfect complement to The Bird Watching Answer Book, from Storey Publishing. The app user’s thirst for knowledge will also benefit the birds because a portion of the proceeds goes into bird conservation programs at the Cornell Lab of Ornithology—so the bird experts can keep doing their research to come up with the answers to a never-ending stream of questions about birds.